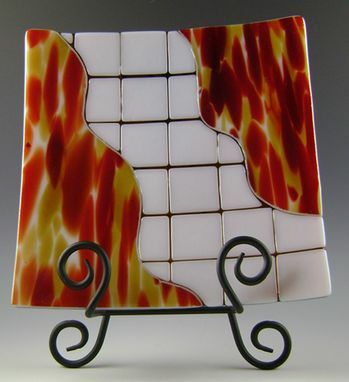 Fiery-colored glass contrasts with white "tile" squares on this unusual plate. Individual pieces are hand cut, assembled & fused in a kiln. Signed by artist. Food safe, hand wash.